A DJ can literally make or break a party. If they are playing the right music, going with the theme of the party, it is certainly going to make the event outstanding for the guests. On the other hand, their lackluster music can bring the whole mood of the party down and make it dull and boring. Imagine a scenario, you have convinced your friends to attend a party with you but the DJ’s performance there is dull, and the music played is unappealing. In such a situation, you can do nothing but feel guilty for ruining the night of your friend. You can avoid this situation from happening, wondering how? DaDJ App has got the answer for you. DaDJ App is a social platform that gives users access to the latest DJ events and the power to vote on their upcoming tracks. 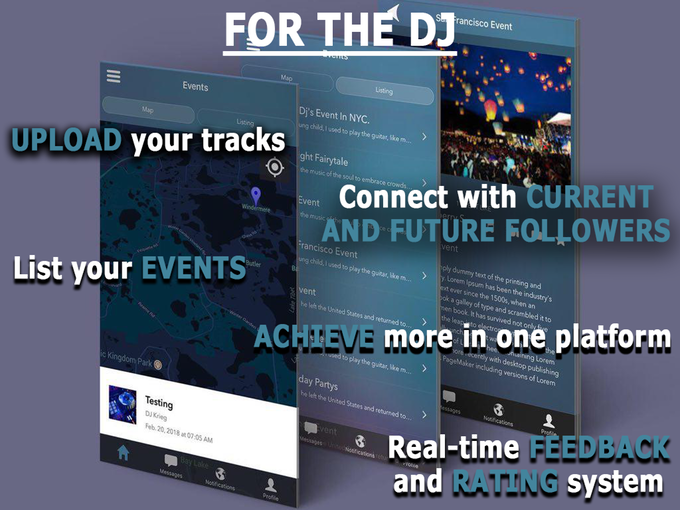 With this app, you will be aware of all the DJ events happening around you. Hence, you can attend the most lit parties in the town. Furthermore, the power to vote for the tracks that will be played will ensure only the most happening and peppy tracks are played that will keep the party rocking. 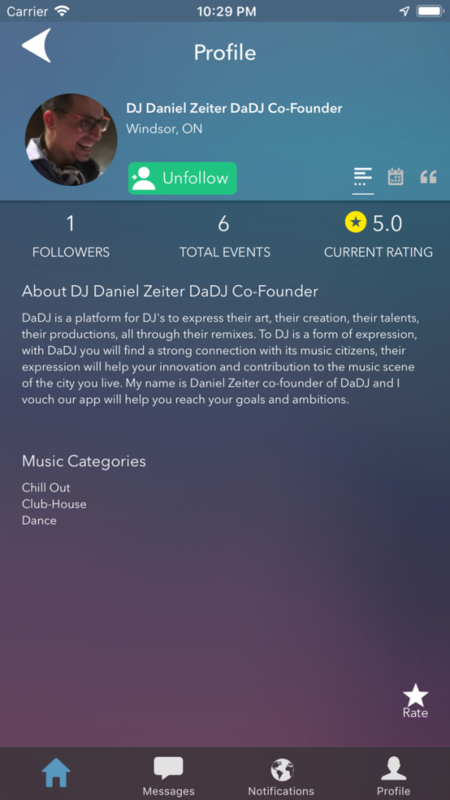 This app will also tell you about the popularity of the DJ as it will show the number of people who are following them. Apart from attendees, this app can prove to be quite useful for DJs as well. 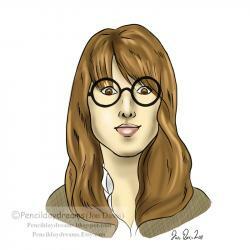 With this app, they can book gigs to show off their profiles and market themselves. This will help to gain the exposure and spread the word about their DJ skills. Moreover, they will also have a chance to keep their playlist updated on the app. This will give them the idea the tracks people want them to play. Thus, there will be high chances of their parties to be a success. It is an easy to use app with a simple interface. It also has a follow option for DJs. Therefore, they will have the option to create their fan following on this app. Their popularity will be depicted by the number of followers they have. It is available on AppStore. So, all those people who use Apple devices, download it now and make sure the party you are going to attend next doesn’t have a single boring moment.